Feb. 1, 2017 | Jan. 31, 2017 | Tiffani Foltz has been named a director of development for the University of Arkansas for Medical Sciences (UAMS) with a focus on fundraising activities for the Myeloma Institute. Prior to joining UAMS, Foltz held fundraising positions with the Arkansas chapter of the American Red Cross and Centers for Youth and Families, both in Little Rock. 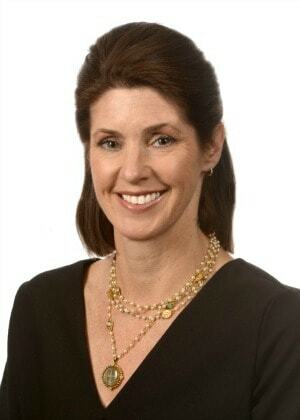 Tiffani Foltz has been named a director of development with a focus on the Myeloma Institute. “I am delighted to join the UAMS Myeloma Institute and work with Tom Stephenson, senior director of development, to raise philanthropic funds that have far-reaching benefits for patients at the Myeloma Institute and elsewhere. It is exciting to be part of a world-renowned program that makes a difference for so many patients and their families,” Foltz said. Stephenson, who recently joined the UAMS Myeloma Institute, is very pleased to have Foltz on board. Foltz holds a bachelor’s degree in communications from Southern Methodist University in Dallas. “Tiffani is a wonderful addition to our team and is doing excellent work on behalf of the Myeloma Institute and UAMS,” said Lance Burchett, vice chancellor for Institutional Advancement. The UAMS Myeloma Institute is the most comprehensive center in the world for research and clinical care related to multiple myeloma and related diseases, such as Castleman Disease and Waldenstrom Macroglobulemia. The institute’s team of scientists and clinicians has pioneered many advances that have become standards of care, leading to improved survival rates. The institute is known for continually translating advances in the laboratory into breakthrough clinical treatments.